At Rooter Drain Experts, our sewer line repairs ensure that your home or business won’t be plagued by troublesome clogs and the health hazards associated with the stoppage of wastewater flow. Our sewer line repair services are not only efficient and can be easily installed, they also offer you security and peace of mind knowing that your pipelines won’t be affected by future complications. Our services are designed to not only remove clogs and other problems, but produce long-lasting results. When we arrive at your property, we begin our visit with a sewer camera inspection, which allows us to see directly into your pipelines thanks to modern technology. Our technicians will be able to easily identify any problem within your sewer lines, including leaks, clogs, and cracks. Once the problem has been accurately diagnosed, our technicians can move forward with the best repair solutions possible, catered for every situation we encounter. If we recommend sewer line repair methods to restore your pipes, we will clean out mineral deposits and waste buildup with a cleaning process called hydro jetting. This cleaning method utilizes a hose and specialized nozzle that blasts high-pressure streams of water into your sewer lines, forcefully removing the debris and waste while restoring the integrity and diameter of your pipes. Hydro jetting is an eco-friendly cleaning solution that doesn’t damage your pipes like chemical cleaners can. In the past, in order to fix a pipe, the entire piping system would be removed and replaced in a process that was time consuming, expensive, and damaging to the property due to large trenches that would need to be build. Luckily, today there is a no-dig solution called trenchless pipe lining. Trenchless pipe lining is the best solution since it does not require any excavating of floors or tearing down of walls, can typically be completed in just one day, and is much more affordable than traditional methods. In this process, we insert a liner coated with epoxy resin into the sewer line, and as it is inflated with a specialized bladder, the epoxy resin is forced to coat the inner walls of the sewer line. The bladder is deflated and removed before our technicians allow the resin to cure along the diameter of the former pipe for a few hours. After the curing is completed, our technicians perform a final inspection in order to ensure that the installation went smoothly. The new pipeline will serve your home or business for over fifty years as a more strong and durable pipeline that will resist corrosion and the effects temperature fluctuations. 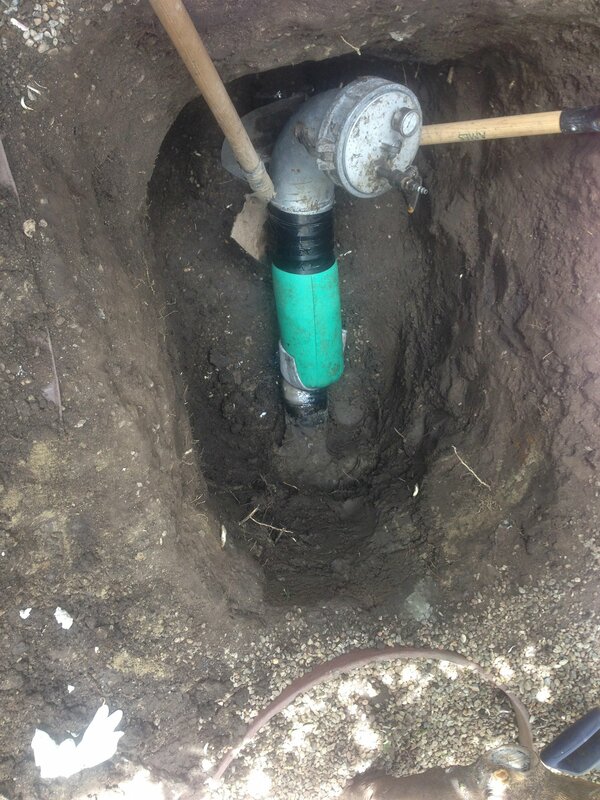 At Rooter Drain Experts, are proud to offer sewer line repairs for all of our customers in the Simi Valley community. We value your time and money, and with over years of experience and expertise in the industry, we know how to fix your pipes correctly the first time. If you need your sewer lines to be repaired with our innovative solutions, call Rooter Drain Experts today and we will be happy to assist you.